Chile beat Colombia 2-0 in the Copa America semi-final on Wednesday and will face Argentina in Sunday's final after surviving a tumultuous match in Chicago that was halted for more than two hours due to a torrential rain storm. Chile were already two goals up at half time but the second half was delayed as an electrical storm powered towards Soldier Field and drenched the stadium with rain. 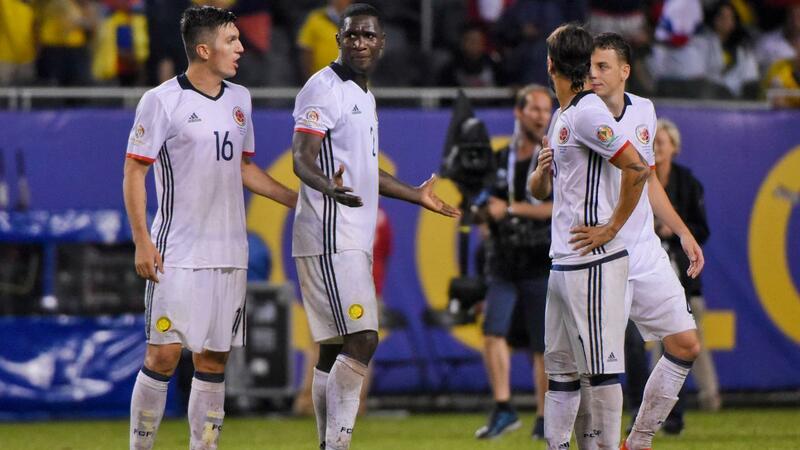 The teams came back to a waterlogged pitch and Colombia, who had a man sent off early in the second period, could not reduce the deficit. "We played well but Chile are a very strong side," Colombian midfielder Juan Cuadrado said after the final whistle. "We thought a comeback was possible but sometimes things don't work out like you want." The result takes Chile into a mouth-watering final against Argentina in New Jersey on Sunday. The game will be a repeat of last year's final in Santiago that the host nation won on penalties. The reigning champions came into the game on a high after beating Mexico 7-0 and took only six minutes to make their mark again. Former Chelsea midfielder Cuadrado misdirected a header across his own goal straight to Charles Aranguiz and the Leverkusen midfielder had the straightforward task of sidefooting past David Ospina. Chile doubled their lead four minutes later after an Alexis Sanchez shot rebounded off the post into the path of Jose Pedro Fuenzalida. With Ospina beaten, the Universidad Catolica full back scored one of the easiest goals of his career by sidefooting into the empty net. Chile, who were already missing midfielders Arturo Vidal and Marcelo Diaz, lost Pedro Pablo Hernandez after half an hour when he limped off injured and the resulting reshuffle took the wind out of their sails. Colombia came back into the game, with James Rodriguez coming close with two shots and creating chances for Roger Martinez and Edwin Carmona. However, Claudio Bravo was in fine form and it stayed 2-0 at the break. Colombia pushed on after the restart with a lively Rodriguez leading the attack but were dealt a huge blow in the 56th minute when influential midfielder Carlos Sanchez was sent off for a second yellow card offense. Colombia did not give up and came close on several occasions but conditions underfoot were difficult for both sides and the score remained 2-0. The Andean side will now play hosts United States in the third-fourth place playoff on Saturday. Argentina beat the United States 4-0 on Tuesday night to reach their second consecutive Copa America final.